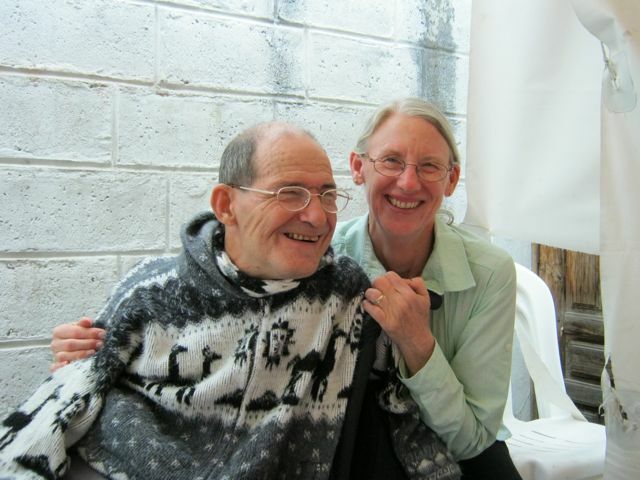 Glenn and I have been in Otavalo now for 5 summers and in 3 of those summers, I have taught English in San Rafael for a short period of time. 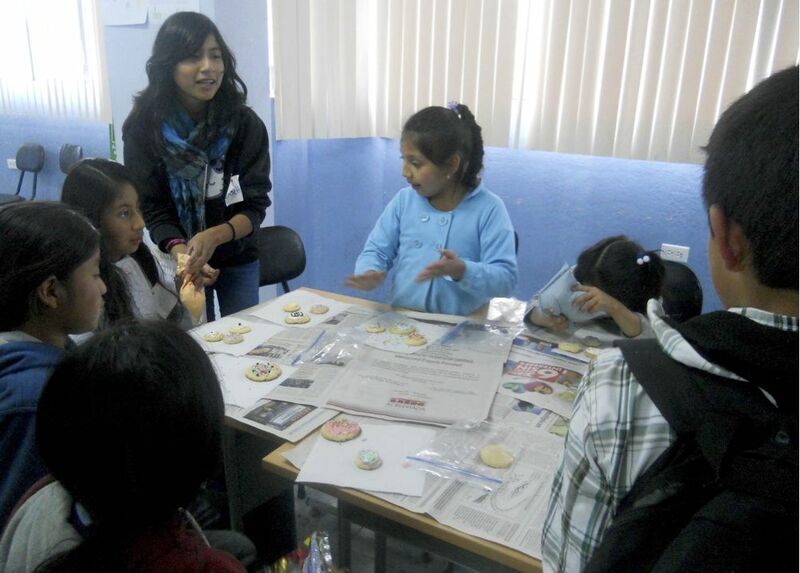 This summer was no exception, but “campamento de día-Inglés” was better than ever. Can you guess what verb they are using? First off, I invited several FEDICE volunteers to join me. We all settled on a week of instruction, offering 2 classes in the afternoons. One was for children 11 years of age and under; the other was for youth 12 years of age and over. Each class was a session of 1 hour 15 minutes. With 4 of us helping, we could break into smaller groups and give more individual instruction. 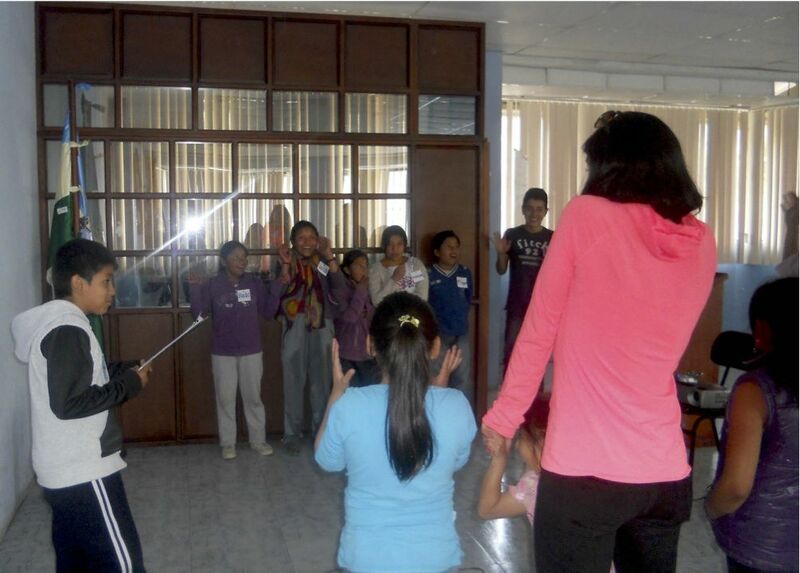 Although the recreation department in Otavalo offered activities like soccer, swimming, basketball, bicycle riding, etc. 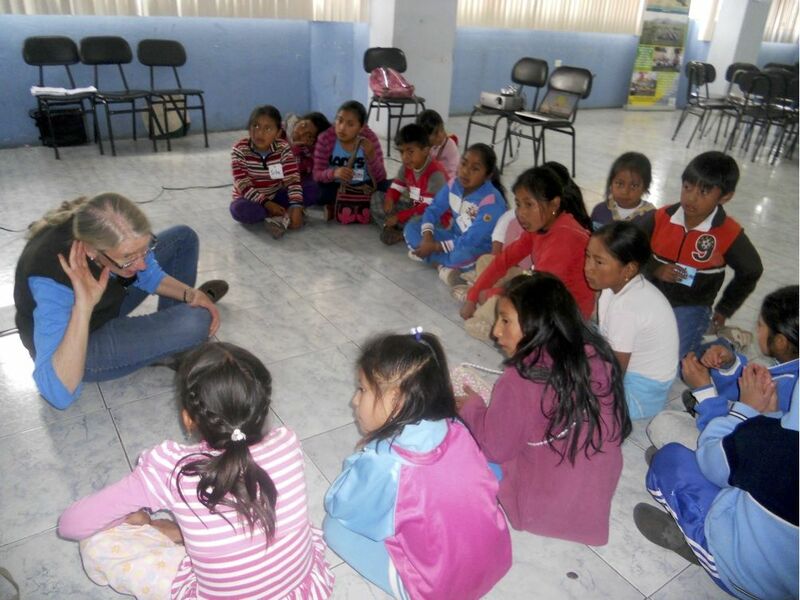 this summer, the communities surrounding Otavalo do not have much in the way of activities. Many young people have summers filled with television. Hence, offering even a short session of activities aimed at children is a welcome change of pace. Getting together with others one’s age is always fun. And we did have a crowd! 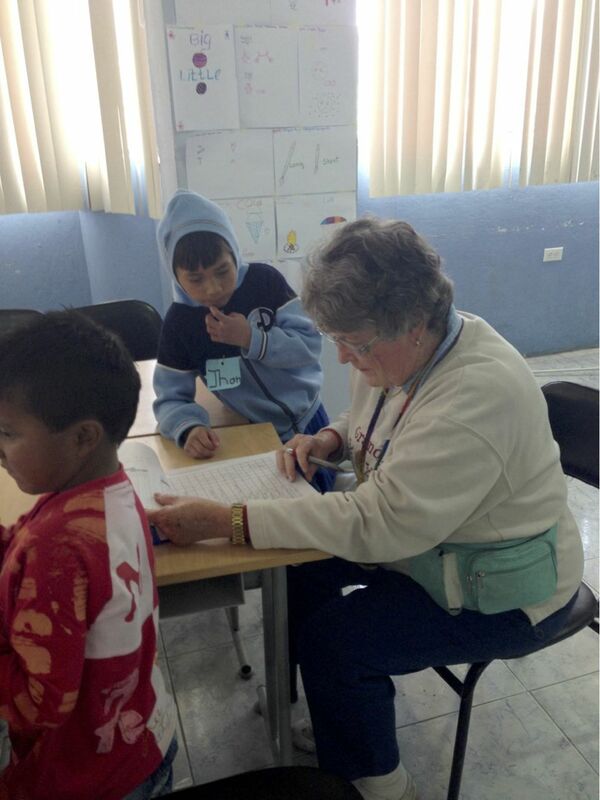 We averaged well over 50 children and youth daily, many of whom came back for all 5 days. And we always had a group that came to both classes because their younger or older siblings were in the other class. 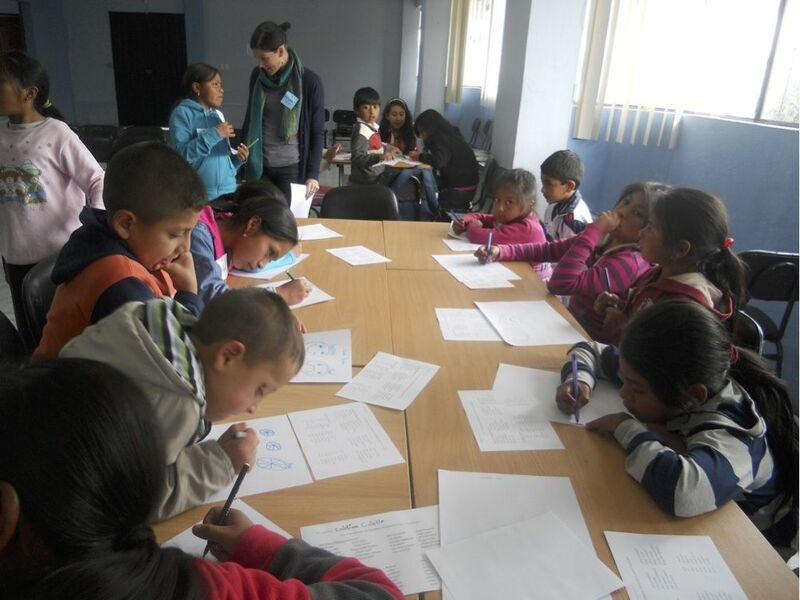 Because Isabel had said that much of the less than 1 hour a week English instruction in the schools centers on learning the names of animals, fruits, numbers, and greetings, which is taught year after year, I decided to do something really different. Both classes worked on adjectives and verbs. 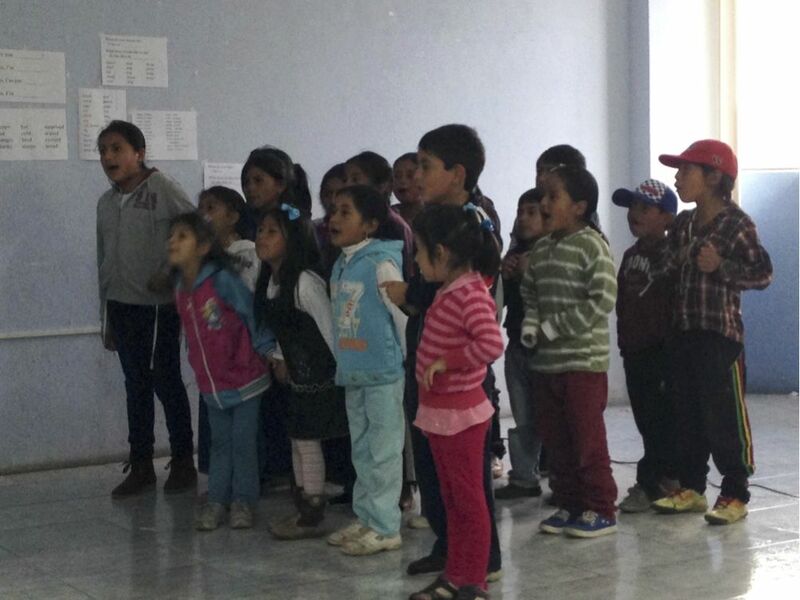 Class time was focused on a very short period of instruction, learning songs that used a lot of adjectives and presented action verbs, practicing asking a question and answering, playing games that included moving around, and drawing using adjectives as the theme. Activities that were a real hit were decorating cookies with different colored frostings, playing “duck, duck, goose” using paired adjectives instead of the nouns, moving into groups of _______ (fill in the blank with a number), singing and performing a song in English for presentation on the last day, and drawing (always a real crowd pleaser with young folks from the communities). And during all of this, they were exposed and encouraged to use English. By the end of the week, Isabelle, Bethany, Lisa, and I were ready for the weekend. 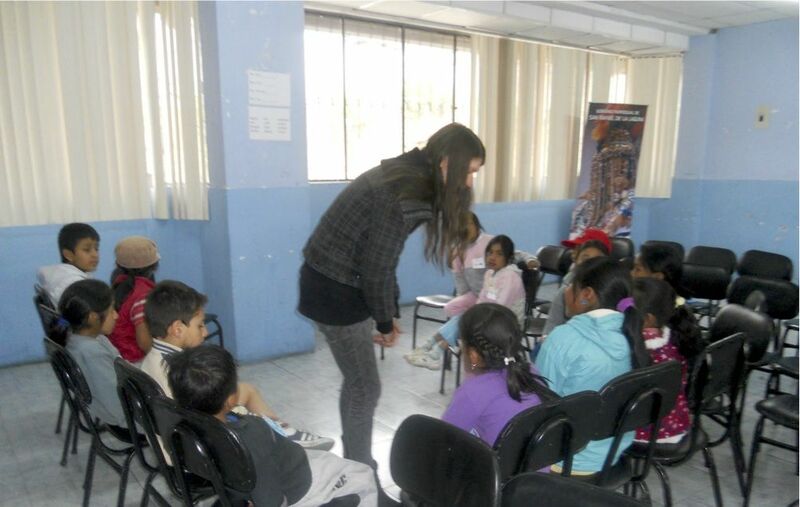 The children had had a great time, had made some new friends, and had increased their English vocabularies. They also had gained more confidence in using English words. Since most of the school classes focus on grammar and reading, actually speaking is often really scary for these reserved youngsters. The 4 of us were excited about what we and the children had accomplished that week. And we’re hoping there might be a repeat experience in 2015. Want to come join us? Some more photos are below. 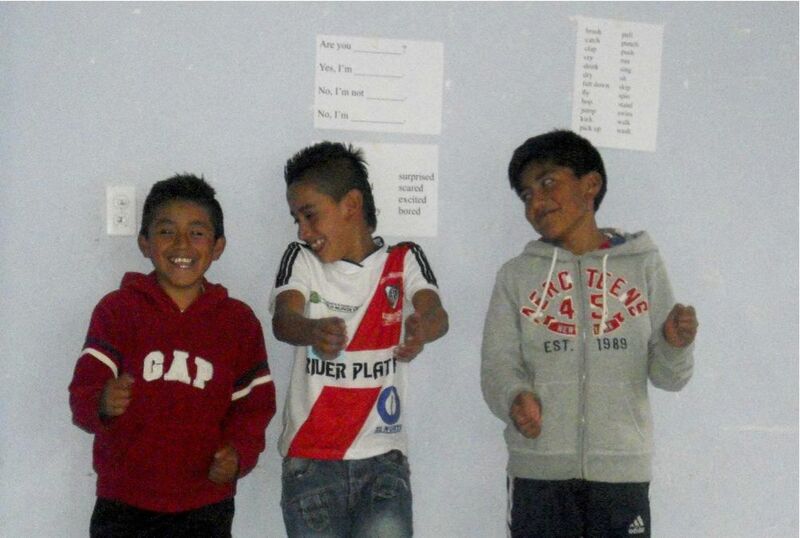 Half of the younger group asking the other half to act out a verb. Drawing two adjectives with Bethany. Now what should we draw? Did you understand those directions? at first but as the week progressed, many spoke out loud with more confidence. Practicing questions and answers in a small group with Isabelle from Germany.